Thank you to Bob Pierce and George Bangs For the great Downeastcon Show of 2019!! Like the Paints many of us grew up with, matched to colors with in depth research and uncompromising standards. 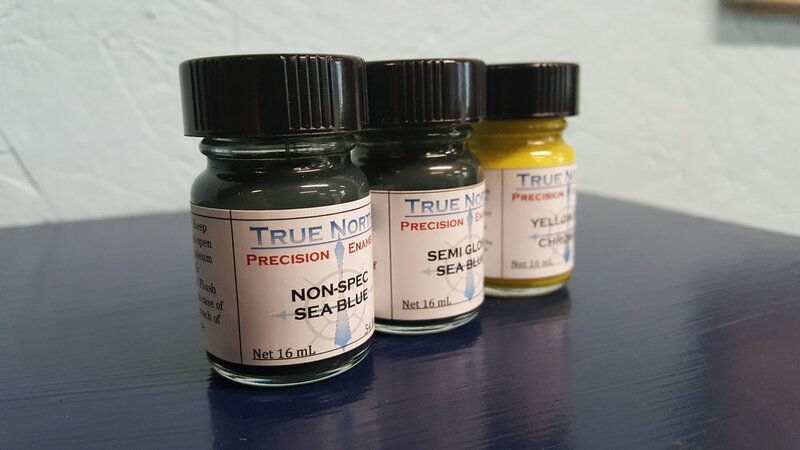 We want True North Precision Enamels to be the brand of paint that satisfies all of your needs and wants for any modeling subject. We extensively tested our paints firstly for durability and secondly for ease of application. Our paints laydown and level from a brush like none you have seen before, and yes you can tape with impunity once they are dry. Were not picky about the thinner either. Yes we have a special blend that is optimized for our paint, but if you desire a cheap bottle from the home improvement store, that will work fine as well. Paints available for sale online. We are expanding the line and the site quickly, see what is coming soon that may interest you!